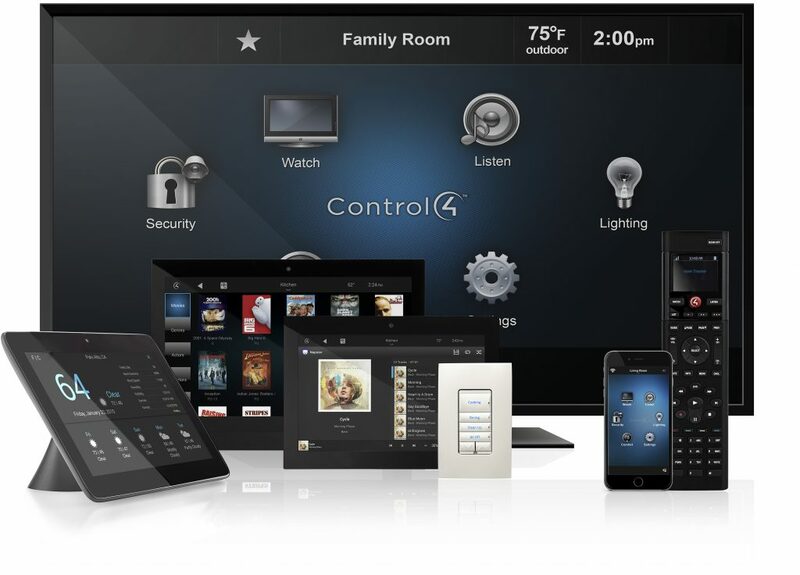 Almost every single aspect of your house can be under your control with Control4. Create scenarios and scenes that control your lighting, garage door, security and A/C when you enter or leave your house. As you can see above, that is just a quick snapshot of some of the different products and user interfaces that Control4 offers. It is easily one of the most affordable solutions to be able to turn your existing equipment that you already have in your home, into a fully connected and automated system. Some not so obvious features from the picture above are an intercom feature that allows you to talk to any other room in the house with Control4 or being able to pull up a live video feed with communication abilities to your front door to see who is there and be able to talk to them. Also you can now give your Control4 automated system commands with Amazon’s Alexa. And the best part is all of this can be done when you’re not even in your home, just by using the app on on your phone.